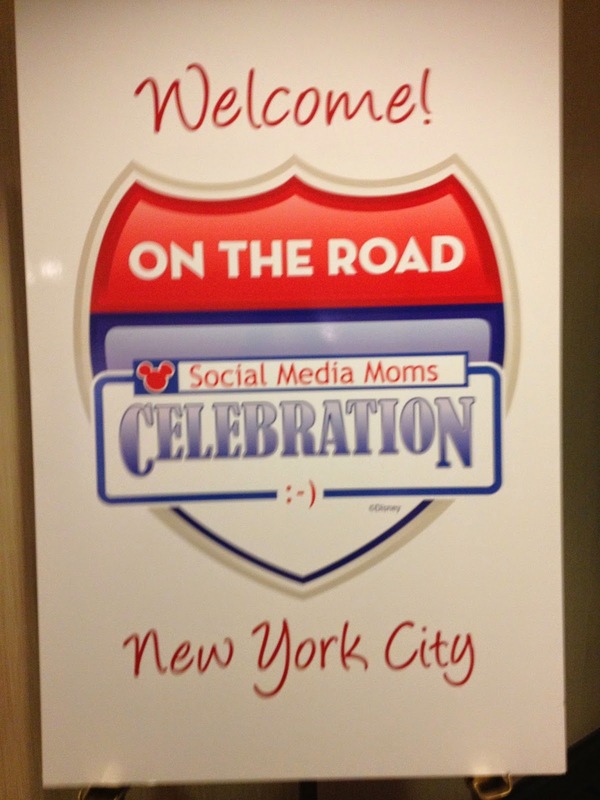 A few weeks ago, I had the opportunity to attend the Disney Social Media Moms Celebration “On the Road” in NYC. To say I was ecstatic that I was selected to attend would be an understatement. When I first opened the email and saw “you’re invited”, I nearly fell off my chair. I knew there was no way that I would miss attending what was sure to be an amazing event. So I immediately checked my calendar, made after school arrangements for my son (since I usually pick him up everyday) and started looking for tips on attending my first ever blog conference. Even though this was only a half day event, I knew had to make the most of every minute so I wanted to be prepared. The day could not come quick enough for me. I had my outfit picked out, my bag all packed and was ready to go. When the day finally arrived, I headed out for my hour long drive to the train station to meet up with one of the gals I had met via Twitter who was attending as well. When we finally arrived to the hotel, we were greeted by this sign and knew I knew we were in the right place. Once we were let into the room, we all quickly went and found a seat. 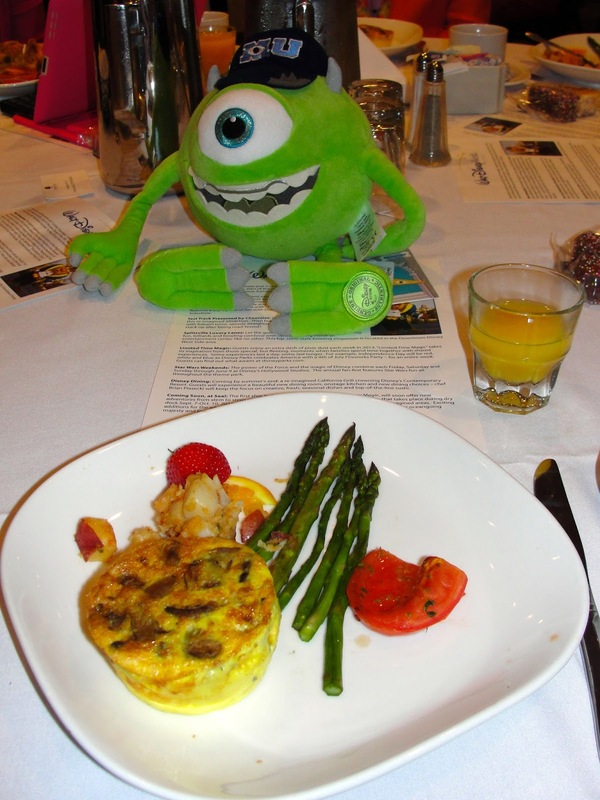 Each table had a different Monsters University plush that ended up being a giveaway for a lucky person at each table. We had the pleasure of being joined by Mike Wazowski. Isn’t he so cute!? Once we all were all in and seated, we were treated to a yummy breakfast. Throughout the day, we were treated to some wonderful speakers. 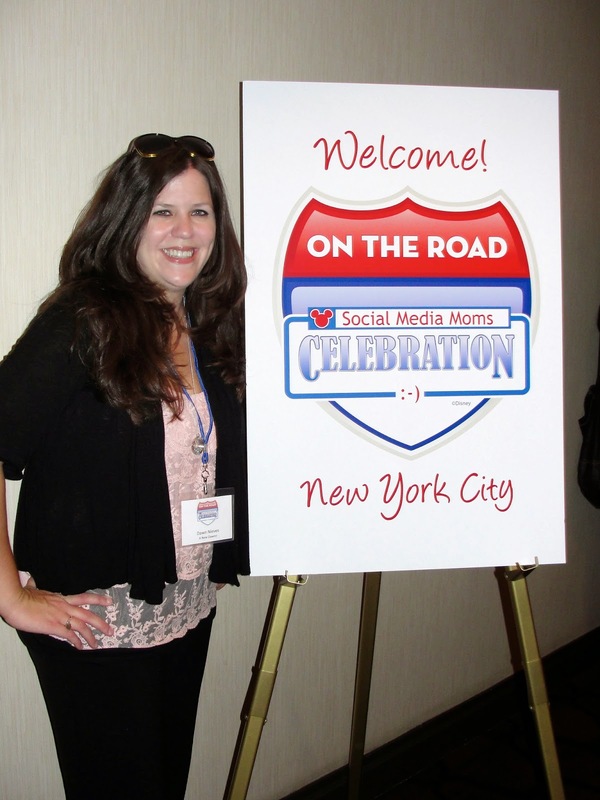 I had the pleasure of meeting the wonderful Maria Bailey of Mom Talk Radio and hearing her speak! Listening to her was one of the highlights of my day and so much of what she said and shared really hit home with me. Up next was Gary Buchanan, Disney Social Media Managing Editor. He was such a nice guy and so full of energy! 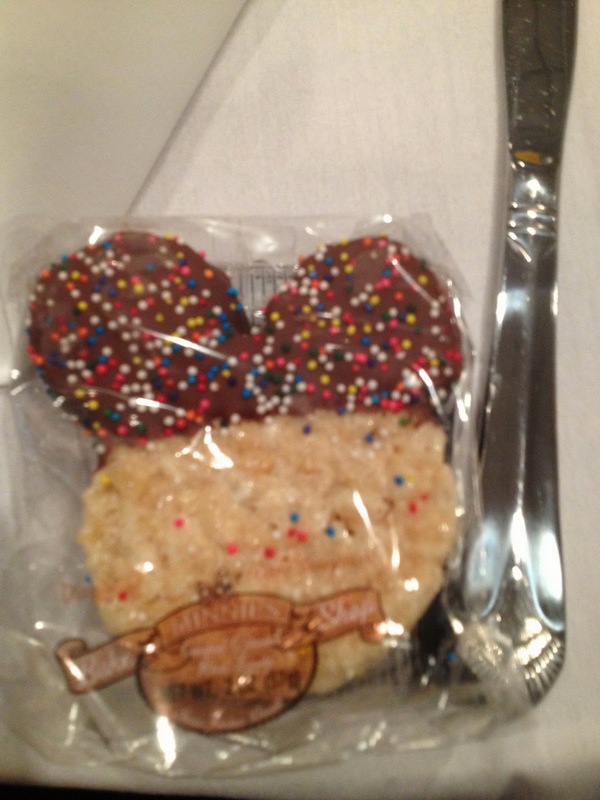 He shared with us all kinds fun things coming to Walt Disney World and Disneyland. He had me drooling in my seat while he was talking about all the great new things in Disneyland, like Cars Land. I’ve never been to Disneyland and after seeing some of these pictures it made me want to go even more! Cars Land looks absolutely amazing with just by looking at the pictures, it makes you feel like you are in the movie! I just thought this image was too cute! 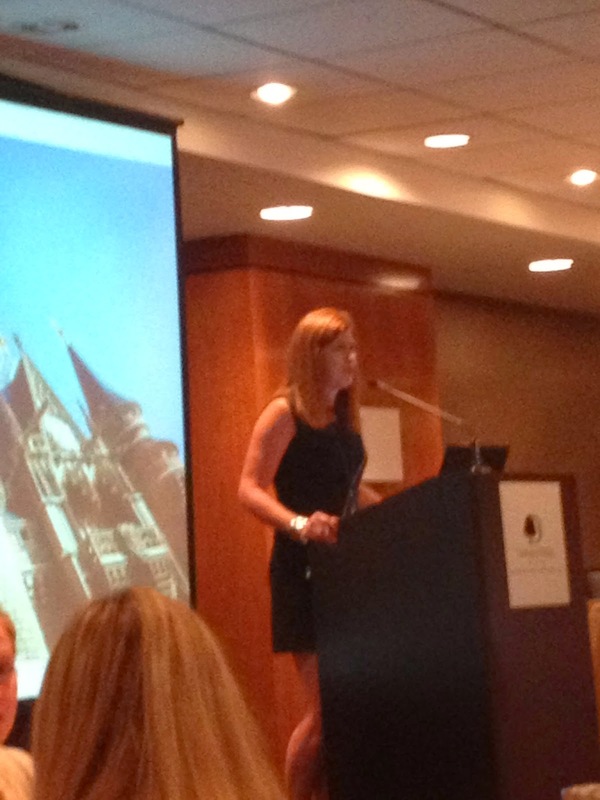 We also heard from Michelle Stepney, Disney’s Public Relations Content Director. She gave a great presentation – Get Ready for Your Close-Up – on working with the media. Hearing each of these women speak and share their tips with us was amazing. I definitely learned a lot that day. 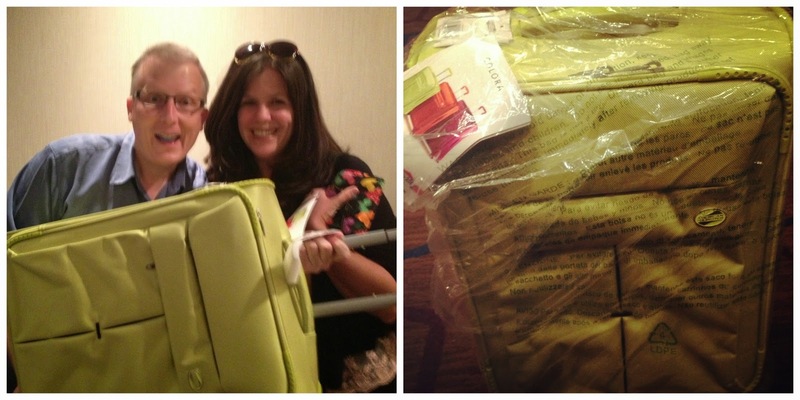 Not only did I learn a lot but I was also lucky enough to win this incredible American Tourister suitcase!! I was the very first winner of the day to win one of these suitcases!! (Reason #2 why should have business cards printed to bring with you! I almost didn’t order them but I’m so glad I did.) The lime green color is gorgeous and was nicknamed “Jedi Green” by Gary Buchanan. When I told my Star Wars obsessed son about that nickname, he immediately claimed it for himself!! After the conference ended I stuck around for a little longer to mingle with some of the other attendees who I didn’t get to chat with at the beginning. After our mingling was done, I headed out into the city for a wonderful lunch with a great group of girls!! From L – R @distherapy, @disneygaltricia, @plusthemagic, @lovethatmouse, @anewdawnnblog & @RI_Mom. Check out their Twitter pages and their blogs! Once lunch was over, @DisneyGalTricia and I headed back out through the streets of NYC to catch the train back home! It was such an incredible day and one I won’t forget! Not only did I get to learn so much but I made some great friends!! I am so glad I had the opportunity to attend this amazing event.